"You've got to be a champion off the field to be a champion on the field," it's a message a number of sports stars across a couple of codes would be wise to consider at the moment. It's also the driving theme of a wonderful Fijian program that is changing lives across the Pacific. Island Breeze Rugby Plus (IBRP) has been working in the Pacific for over decade, using the guiding values and principles of rugby to empower young people and provide the opportunity to chase their rugby dreams. "Island Breeze Rugby Plus started in around 2003," the program's Australia leader Waqa Baravilala told ESPN. "The program is all about using rugby to help young people either get off the streets, off drugs; it's all about youth and community development." Baravilala is ably supported in IBRP by none other than Ilie Tabua, the former Wallabies and Fjij back-rower known as the "Human Skewer". Tabua played 26 Tests over a 10-year career and later coached Fiji to a quarter-final appearance at Rugby World Cup 2007. But a switch to IBRP has provided perhaps an even greater reward; the chance to work with talented youngsters - both on and off the field. "It's (IRBS) more-so having a holistic approach to it (life), using the game because of their interest," Tabua told ESPN. "So because of their interest we use the game's principles, the values like teamwork, discipline, honesty and community sense to get them to work together, not only on the field but (also) off the field. "There is a punchline we use quite often: 'you've got to be a champion off the field to be a champion on the field', meaning having his life totally complete; his relationship with his parents, with his community, with his surroundings…all these things need to be in tune to have him or her well-equipped on the pitch." IBRP aligned itself with Melbourne club Box Hill back in 2012, affording talented youngsters from across the Pacific the chance to improve their rugby in Victoria's Dewar Shield. The move south has been a major success and a key contributor to one of the program's major achievements - the rapid rise of Sefanaia Naivalu. 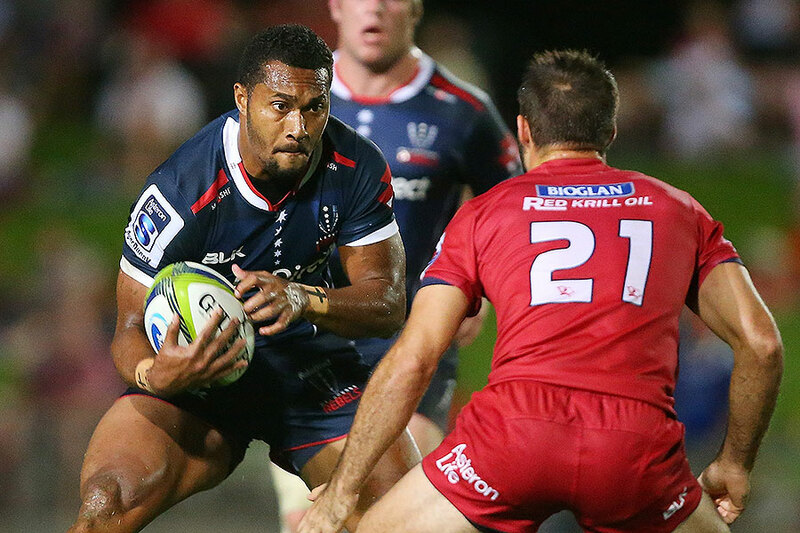 "I think for us one of the greatest milestones for Rugby Plus is Sefa Naivalu who has now signed a two-year contract with Melbourne Rebels," Baravilala said. "He only played his first year in Melbourne last year after picking him up playing rugby in high school. And giving him an opportunity in Australia; not knowing, from the words of the coaches here, that he was Super Rugby material. So that was a big boost for the program that we run in also giving opportunity for our young people in the Pacific to come over to Melbourne, and Sefa Naivalu is a classic example." Naivalu made his first Super Rugby appearance for the Rebels in the franchise's maiden win on foreign soil - a 19-10 victory over the Crusaders in round one. He then picked up his first five-pointer in the thrilling 38-30 loss to defending champions, NSW Waratahs. This year's Rugby World Cup may arrive a little too soon for Naivalu but Tabua will certainly be keeping an eye on the Flying Fijians' progress in a tough Pool A that features Australia, England and Wales. 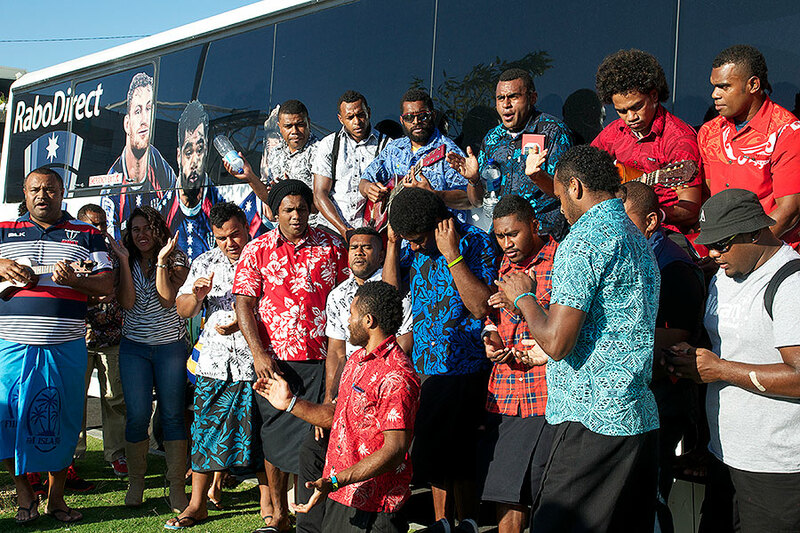 "It's a progressive time, both on and off the field," Tabua said of the Fijian Test side. "It's always going to be a challenge until Fiji gets itself structurally set-up to compete and compete well. We're always going to have these challenges and I think we compete okay at the highest level on natural ability, and based around the guys who are showing their talents overseas. But we need to get some proper structures in place locally; then we could be big. But I think we'll put in a good show at the World Cup." IBRP could well prove to be one of those key structures for Fijian rugby development while both Baravilala and Tabua are keen to grow the program across the Pacific. "We would like to see it (IRBP) grow but not only in Fiji; we would like to see it grow across the Pacific," Baravilala said. "We are going to Samoa next week, we've been to Vanuatu, the Solomons (Islands), Nauru and we're going out to Papua New Guinea and the Cook Islands as well. "We want it to grow and be a tool to empower young people and to give them an opportunity in life, to be a better person and a better person in their community. And hopefully, yes, we'll see a lot more of these young kids coming through the Rebels and the program pathway to play Super Rugby."